The one thing you quickly learn in the history and heritage business is that no story is ever as simple as you’d like it to be. And here’s the irony, 10 Bellevue Terrace, now in line for the demolisher’s wrecking ball, was once adaptively reused, rather than knocked over. Read on. 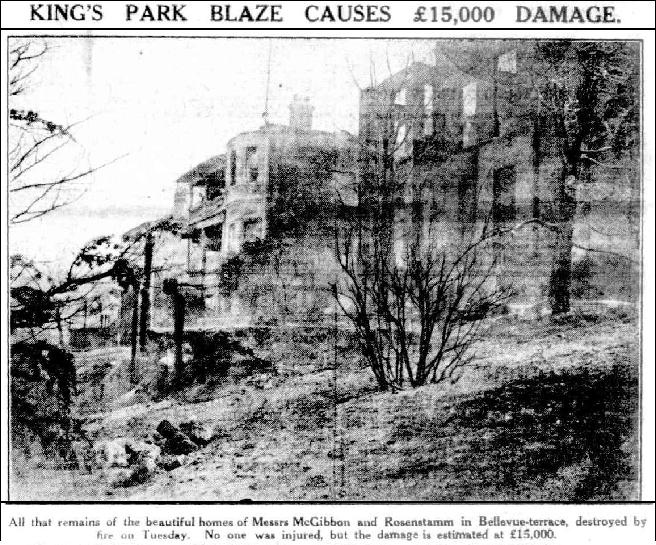 In 1926 a fire in Kings Park devastated two homes on the Terrace, including No. 10. At this time it was owned by prominent accountant and tennis player Sinclair James McGibbon, who lived there until his death in 1943. A long-time president of the Kings Park Tennis Club, gates and a stand there are named in his honour. The fire did sufficient damage to gut the property, but the walls retained enough integrity that they were incorporated into the renovation, which was designed by the famous Perth architectural firm of Eales & Cohen. Although McGibbon was a ranting anti-Communist, who saw reds under the bed everywhere, we’ll forgive him on this occasion, since the renovation he commissioned is still an attractive house today. And a house that has an even more interesting history than Dodgy Perth first thought. interesting comment on S.J.M. On what facts do you base the assertion that he was a “ranting anti communist? He gave regular talks on how the entire union movement was secretly controlled by overseas Communists. ‘Ranting’ may be a little unfair, but his anti-red talks were one of the things for which he was best known in the mid-1920s. I don’t think he was too far off in his “rantings”. Not too much has changed since. You make anti communism sound like a bad thing. Thanks for your response. I would be interested in any other snippets you may have on S.J.